The frontiers of West India, especially Gujarat has earned its position among the best holiday destinations in India. Owing to all the possible things to do in Gujarat, it will be your favorite place to holiday too. There are a number of unforgettable experiences awaiting you while you explore its rich history, culture, architecture, and more. Maybe cycling around the coastline is a good idea. Or picking up binoculars to spot wildlife. 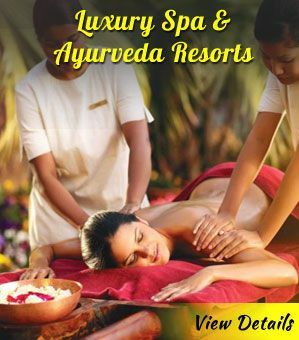 Or, peek in the heritage, tasting the authentic flavors or just exploring the top places to visit in Gujarat. 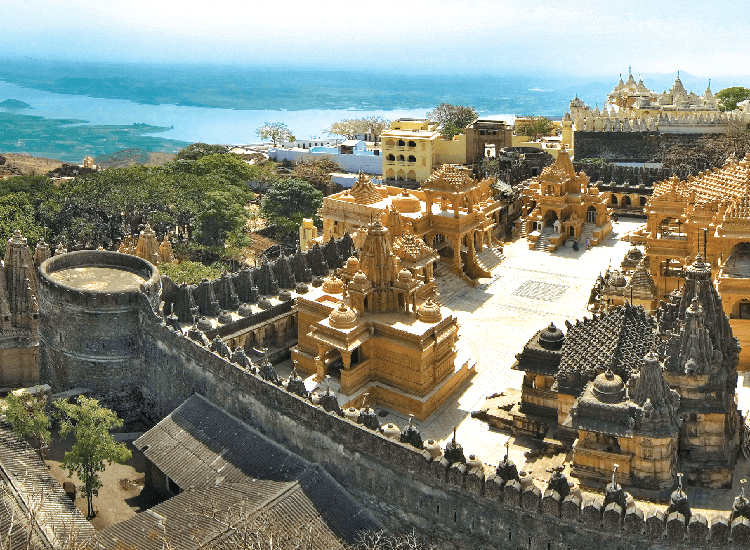 This Gujarat travel guide covers a list of the best things to do in the state that you cannot miss out on. Counted among the top national parks of India, Gir is wild haven. 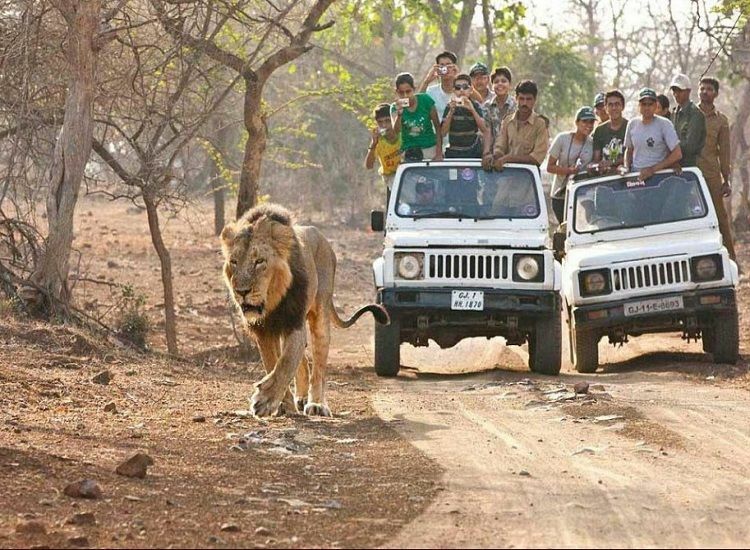 Hop on a jeep and ride through the deciduous forest of Gir national park to get a glimpse of the Lions. In fact, it is the only home in Indian for the fearless Asiatic Lions. Chowsingha (four-horned antelope), hyenas, jackal, Indian Fox are the other animals who share the shelter. As for the avifauna, the no. goes up to 200 species, along with 40 species of amphibians and reptiles. What’s even interesting to know is that it’s the only national park which has a community living in its perimeter. Surely, it is one of the top things to do in Gujarat. 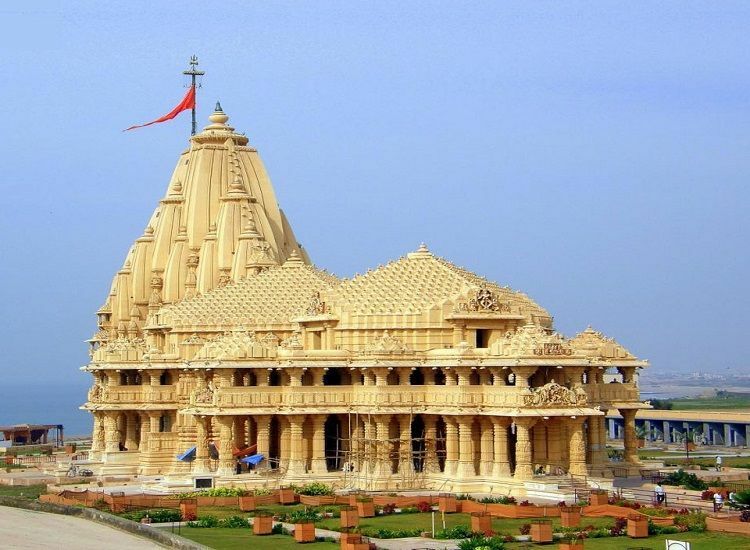 Now it’s time to shift our focus to the religious side by taking a sightseeing tour to the Somnath Temple. Legend has it that the shrine was built in silver by God Ravi, in gold by the moon god Soma, in wood by Lord Krishna. While in the 11th century, the temple was created in stone by the Solanki Rajputs. 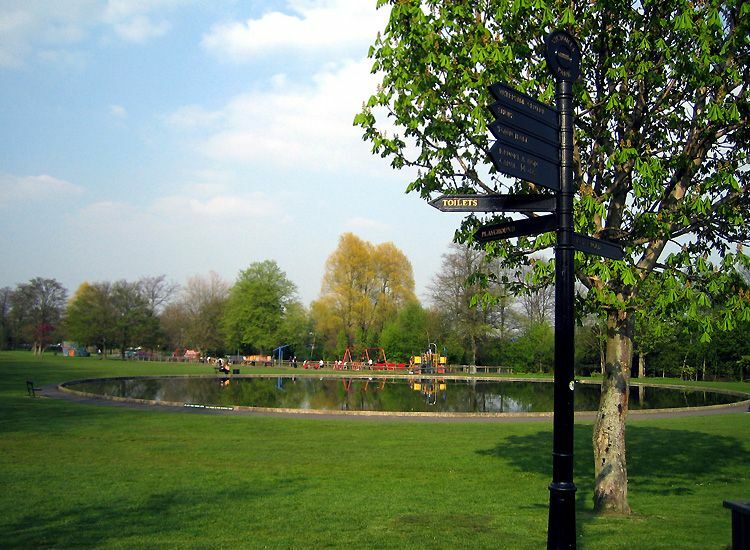 However, what we see today is the 17th version built on the original site in 1951. Among the most religious sites in India, it is believed to be the 1st Jyotirlinga shrines of Shiva out of the 12. Another reason pilgrims’ visit this tourist attraction in Gujarat is for the conflux of Saraswati, Kapila, and Hiranya. Furthermore, legends say that the Moon God worshipped the Shivling here and that’s where the temple got its name, Somnath. Rann of Kutch is a rare beauty, and even travelers from across the world agree to this. This famous tourist attraction of Gujarat is a typical mix of sand and salt, spread over 7500 sq. km. In fact, the rare beauty is listed among the largest salt deserts in the world. It lies between the Arabian Sea and the Thar Desert. Moreover, it offers a vision not to miss during the night. Therefore, the best time to plan your vacation in Gujarat to visit the Rann is between October to March. It is the occasion of Rann Utsav, the colorful celebration and not to forget it’s the best time to sight migratory flamingoes. In other words, a visit to the Rann of Kutch is among the best things to do in Gujarat. 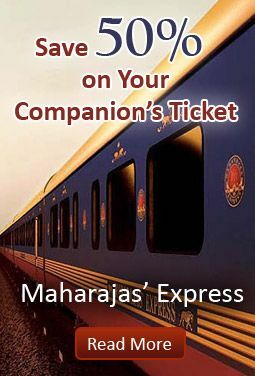 P.S- Prior permission for taking a car or bike to the Rann of Kutch is required. 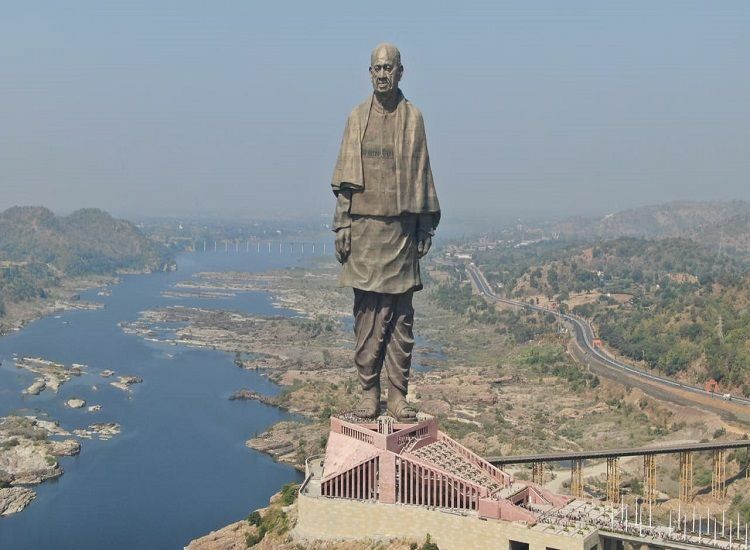 This gem of Statue of Unity was recently added to the crown of the state. In no time, it joined the list of top places to see in Gujarat. Statue of Unity is a homage to the visionary leader Sardar Vallabhbhai Patel and is the world’s largest statue. It stands tall at the height of 182 m and is sculpted close to the Sardar Sarovar Dam on Narmada River. Statue of Unity salutes the undying efforts of Sardar Vallabbhai Patel who was the first deputy prime minister of India and also someone who worked with Mahatma Gandhi for Indian Independence. He is also credited for bringing together the 562 princely states of India and tying them all together as Union of India. Finding its place among the top tourist destinations in Gujarat, Kankaria Lake lets you rejoice in the simple pleasures. In Ahmedabad, it’s an oasis of bliss to relax after a rather chaotic day. Yes, that’s exactly where this lake which exhibits 34 sides like a polygon is settled. 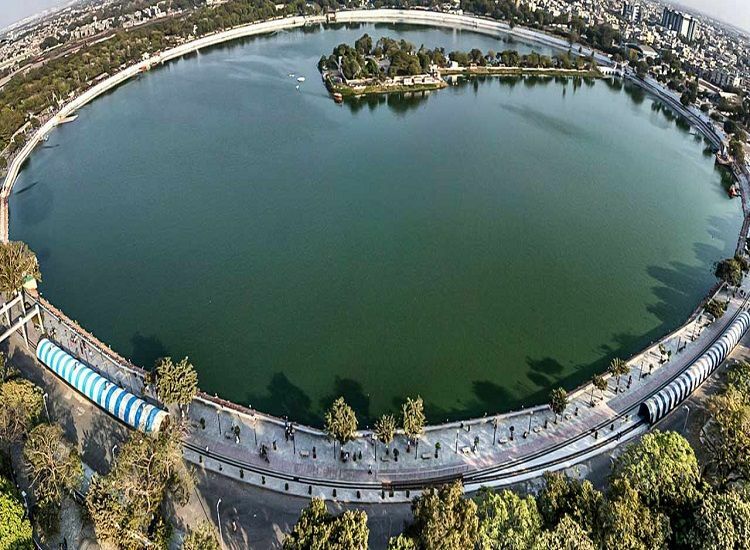 The lake was built under the rule of Sultan Qutb-ud-Din Ahmad Shah II in 1451 and has been a major attraction since then. Visit here in the evening and be a part of the crowd who come here to enjoy attractions like kids city, toy train, zoo, water rides, food stalls, balloon ride and more. Besides, you can plan a visit here in December and be a part of the Kankaria Carnival which takes place over a week. Cultural performances and other activities are a major highlight of the carnival. A star in the sky of Vadodara is this next tourist place of Gujarat, Laxmi Vilas Palace. It was the brainchild of Maharaja Sayajirao Gaekwad III for his family. Till date, it is among the world’s largest private dwelling unit. What’s more interesting is the size of this palace. Spread over 700 acres, it’s thrice the size of Buckingham Palace, amazing right? Wait, I’m not done yet! 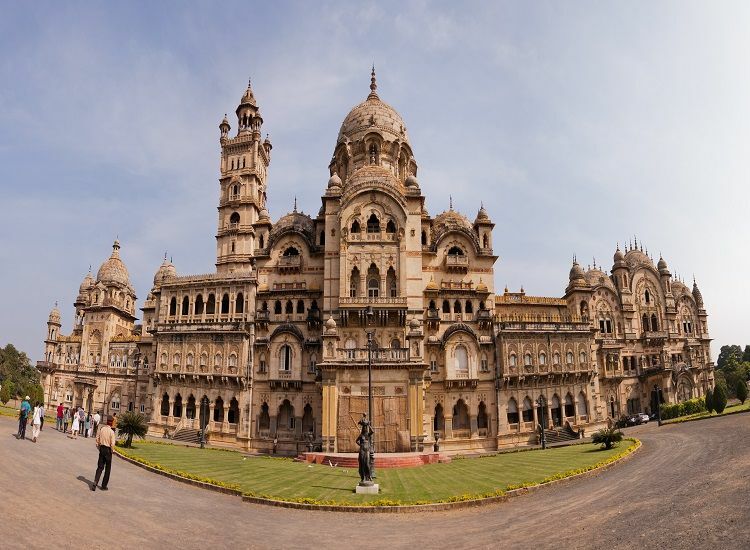 The palace has several buildings, Moti Baug Palace and Maharaja Fateh Singh Museum are the most talked about. Apart from this, the palace also has a golf course which was built in the 1930s was made public in 1990s. Gujarat opens doors to the pristine Dwarkadhish Temple located at Dwarka for the dear worshippers of Lord Krishna. 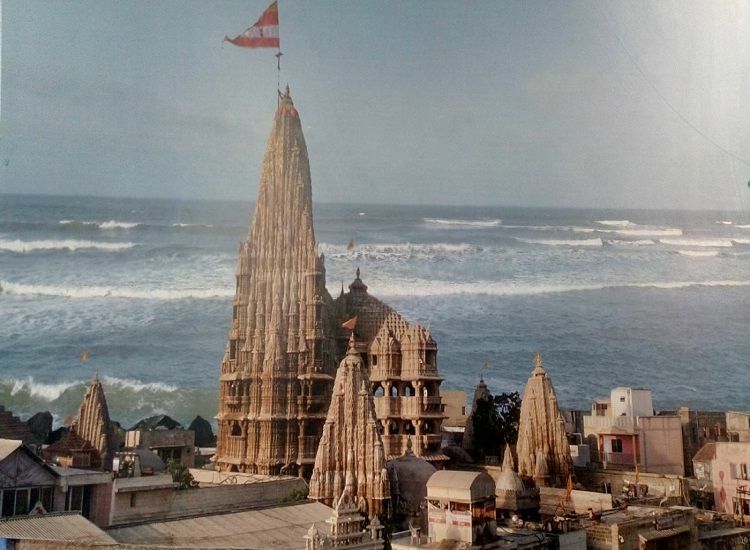 Dwarkadhish Temple, also known as Jagat Temple is believed to be built by the grandson of Lord Krishna, Vajranbha. 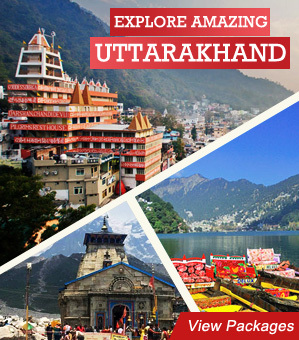 This Hindu temple is swarmed by pilgrims all-round the year for it is a part of the Char Dham Yatra. Therefore, a visit to the holy temple is among the top things to do in Gujarat. According to legend, Lord Krishna built Dwarka on a piece of land which was found in the sea. Later when Durvasa, a Hindu saint came to meet Krishna and Rukmini and wished to visit their palace. As they walked towards the palace, Rukmini felt tired and asked Lord Krishna for some water. Lord Krishna harrowed a hole from where the Ganga River started flowing. Upon watching all this, the saint in his rage cursed Rukmini to stay at the same place. The Rukmini temple we see today is exactly where the queen stood. 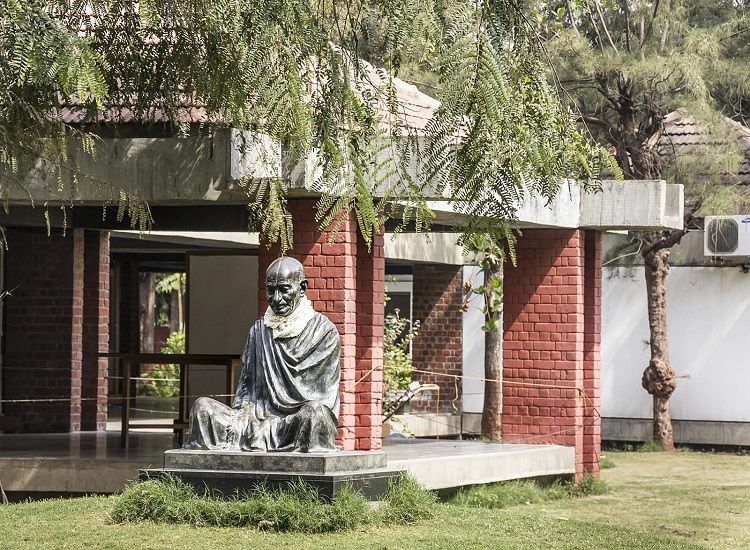 How can we forget the very famous Sabarmati Ashram, also known as Gandhi Ashram? This is the place where Mahatma Gandhi stayed for 12 years. In fact, this wasn’t the first ashram in India where Gandhi stayed, rather it was Jivanlal Desai’s Kocharab Bungalow. By the time it was 1917, Gandhi realized that he needs a bigger place to continue various activities like animal husbandry and farming. And that’s when he came to Ashram close to the River Sabarmati and was named after the same. It was from here, he started the famous Dandi March (Salt Satyagraha) on 12 March 1930. At present, the ashram houses a museum by the name Gandhi Smarak Sangrahalaya. Other attractions inside this ashram are Vinoba Kutir a cottage owning its name from Acharya Vinoba Bhave; Nandini which is a guest house; Magan Niwas and Upasana Mandir. 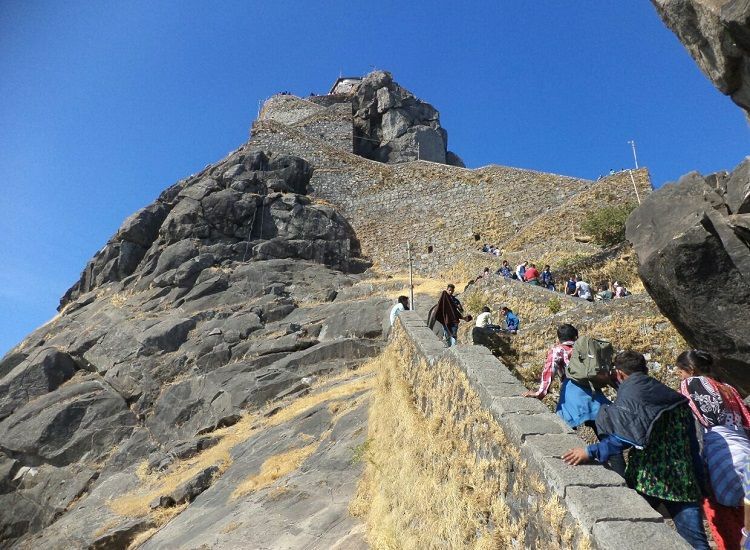 One of the best things to do in Girnar, the spiritually blessed hills of Gujarat is to hike and conquer them. The hill which is the highest point in Gujarat is best known among pilgrims for the 866 Jain and Hindu temples and among trekkers for its trekking trail. Now that you have started thinking about pushing your limits in Gujarat, what more is to be known is that it takes around 9999 steps to reach the top, really! The best time to visit Girnar for a thrilling time is between September and March. Early morning is a good time to start trekking exploring the temples. Built in the 11th century by Queen Udayamati of Solanki Dynasty in the memory of her husband, Rani Ki vav is one of the best places to visit in Gujarat. The charming UNESCO World Heritage Site in India deserves every praise. This intricately-carved stepwell was given the honor in 2014, years after its excavation. 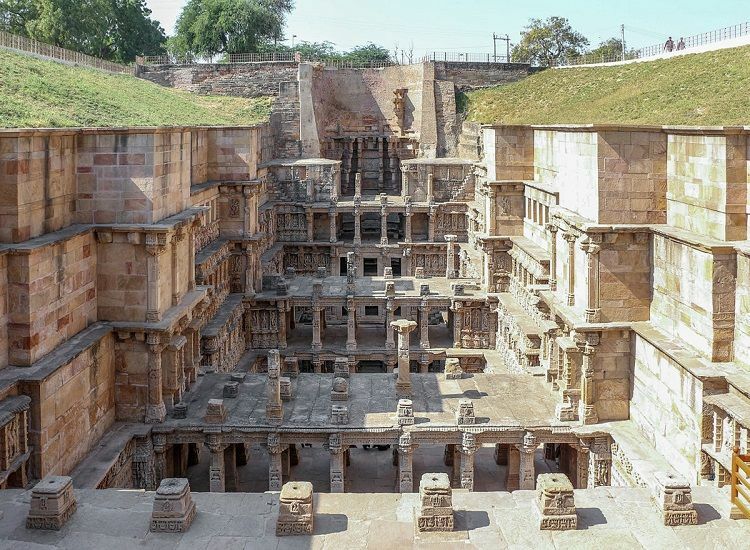 Also known as the Queen’s Stepwell, this tourist attraction in Gujarat sits close to the River Saraswati and is sculpted as an inverted temple below the surface of the earth. Moreover, the site is a marvel divided into 7 levels, 4th level possessing the tank. Rest of the site has 500 major sculptures and 1000 minor which exhibit a mix of secular and mythological imagery. 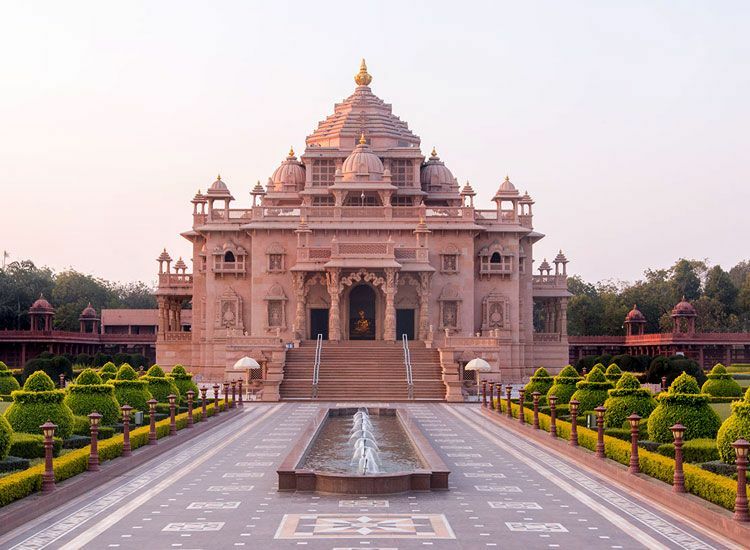 Dressed with the best pink Sandstone from Rajasthan is Akshardham Temple, the spiritual symbol of Gujarat. Settled in the district of Gandhinagar, it is a Hindu Temple which sits in the Swaminarayan Akshardham temple built over the period of 13 years. The temple complex pays homage to Bhagwan Swaminarayan who is worshipped as Parabrahma (Highest Brahman). Along with that, the temple gives tribute to the teachings and life of Lord Swaminarayan who turned around the central Hindu practices. Besides, Akshardham takes its inspiration from Yogiji Maharaja who was the fourth successor of Lord Swaminarayan. The temple is a famous pilgrimage site which is designed with the traditional Hindu architecture. For those who are always attached to nature, Gujarat offers you a cheerful bird watching experience to the Khijadiya Bird Sanctuary. 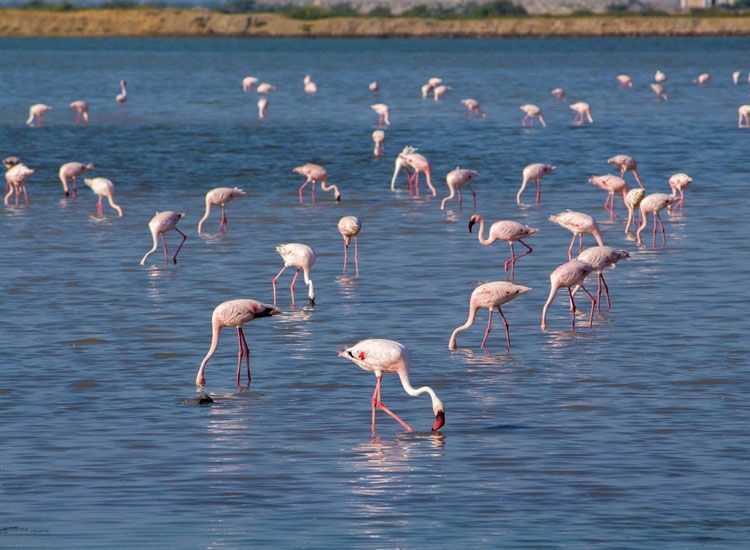 Situated in the Jamnagar district of the state, the sanctuary provides shelter to over 220 species of resident and migratory birds. Moreover, Khijadiya is counted among the best places to visit in Gujarat for its unique diversity of ecosystems. This is because the sanctuary is surrounded by salty marshlands on one side and freshwater lakes on the other. Further, paddleboats, watchtowers, and trails are present in the Khijadiya to make your bird watching experience more enjoyable. 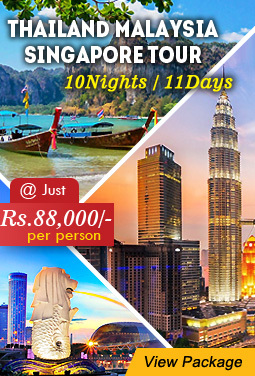 Hey history lovers, I have got a tourist attraction in the list which you will surely love. Lothal, an ancient city which finds its mention in the 4,400-year-old Harappa civilization, is that place. All thanks to the Archaeological Survey of India (ASI) who excavated the site between 13 February and 19 May 1960 and brought to notice the world’s earliest known dock. And that’s not where it ends, as the dock is believed to be the finest work of maritime architecture. Moreover, during the excavation, the archaeologists also found a township, a marketplace, a mound, and the dock. 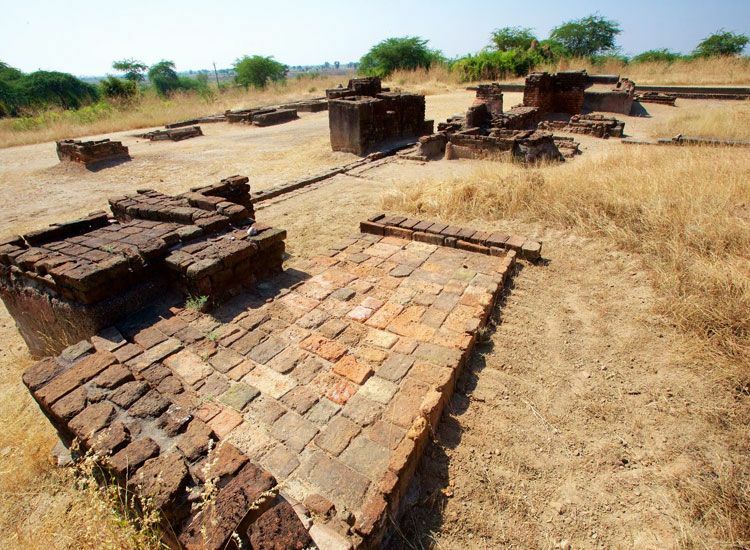 Lothal was excavated close to the Sabarmati River and is believed to be a star among the trade centers which dealt in gems, beads and valuable ornaments. All of which were traded to West Asia and Africa. Pushing off to the next destination on the blog, we come across the Sayaji Baug, one of the largest public parks in West India. 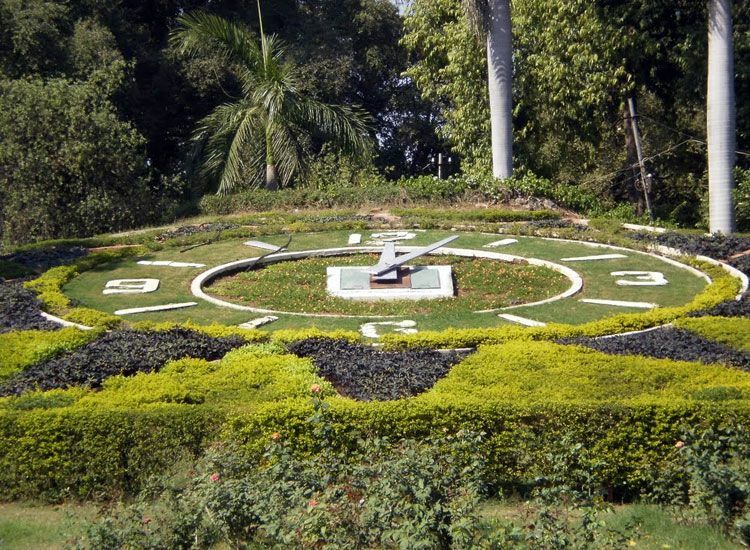 Gifted by Maharaja Sayaji Rao Gaekwad III to the residents of Vadodara in 1879, the park stretches over 113 acres. On a visit here, you will be surrounded by a rejuvenating blanket of flora, 98 species so as to say. Best time to visit Sayaji Baug is early morning for strolling or walking through the pleasing environs. That being said, the park also shares its land with the Sayaji Baug Zoo, Sardar Patel Planetarium, and Baroda Museum & Picture Gallery. Pulling in pilgrims from 1424, yes that’s when Jama Mosque was built in the city of Ahmedabad. This shrine is revered as the largest mosque built in the Indian subcontinent during that era. Each brick of yellow sandstone used in making the mosque portrays the glorious efforts of Emperor Sultan Ahmed Shah. Besides, it is also said the pilgrimage site was carved out for the personal use of the Sultans. To find the perfect solace, there is no other best place of worship in Gujarat than Sun Temple. 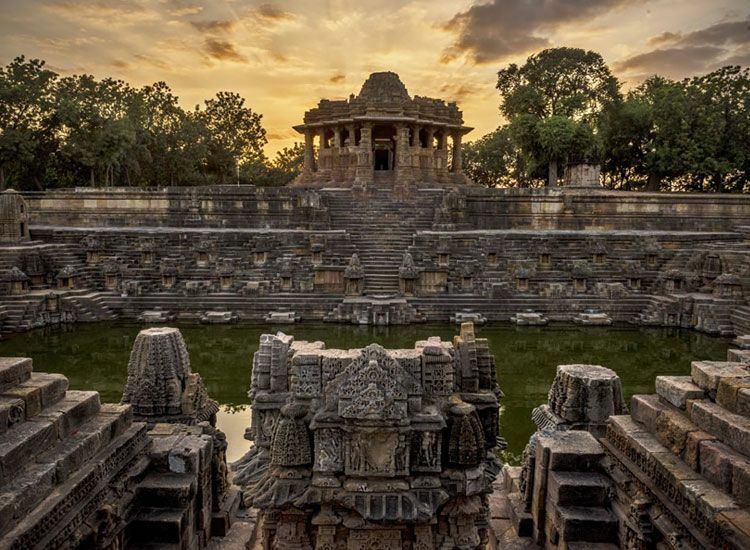 As you enter the Modhera village which is a part of the Mehsana district, you will be instantly pulled in by the charm of this temple which revers Sun Lord, Surya. The temple was gifted to the city by Bhima I of the Chaulukya dynasty after 1026-27 CE. What travelers need to know about the temple is that no worship is offered at the temple in present times. Rather it is turned into a monument which is taken care by ASI. 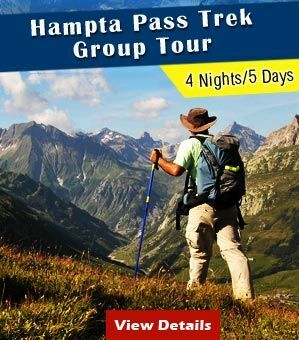 If you visit this tourist attraction then do explore the Sabhamandapa, the assembly hall, Gudhamandapa, the shrine hall and Kunda, the reservoir. Spread over an area of 500 acres, the Victoria Park in Bhavnagar is another famous tourist attraction in Gujarat. It is basically a reserved forest area which is also India’s oldest man-made forests. On your visit here, your heart will fill with joy at the sight of diverse flora and fauna the forest holds close. There are over 422 species of fauna and 100 species of flora. Come here early in the morning and feel a refreshing vibe taking over you. 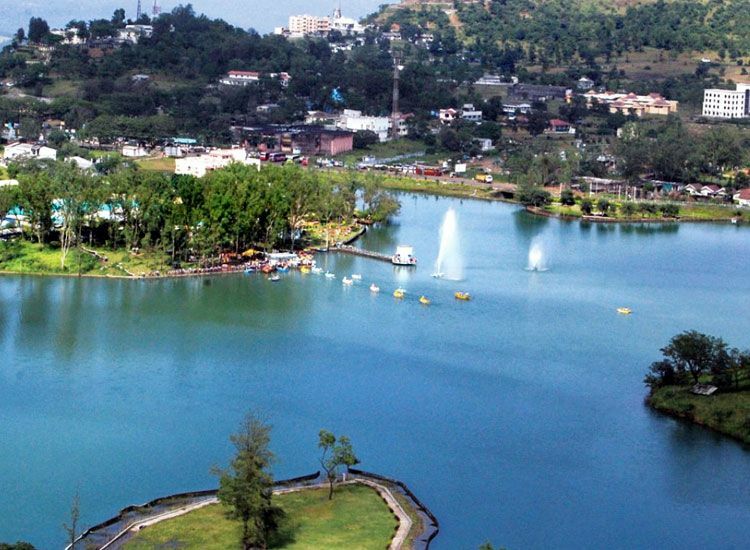 With its close proximity to the Gaurishankar Lake, the park poses as a home to migratory birds. All of which makes bird watching such a heartwarming experience. 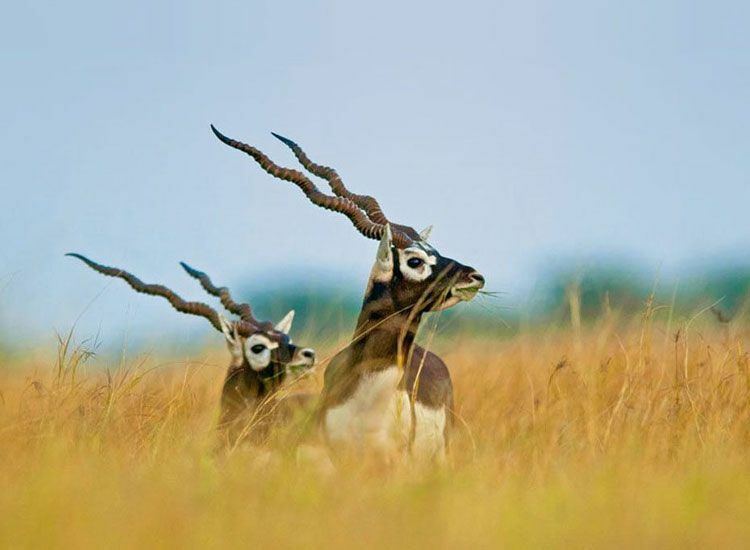 Another addition to the list of things to do in Gujarat is a visit to the Velavadar National Park. It is a complete paradise for wildlife lovers as it is home to various flora and fauna species. What’s interesting to know is that Velavadar was formerly the hunting grounds of the Maharaja of the princely state of Bhavnagar. With the coming years, the national park was started in 1976 snuggled close to the Gulf of Khambat, in the Bhal region of Saurashtra. The national park is home to blackbucks, Macqueen’s bustards, wolves, jackals, hyenas, and lesser floricans, with foxes, and jungle cats. 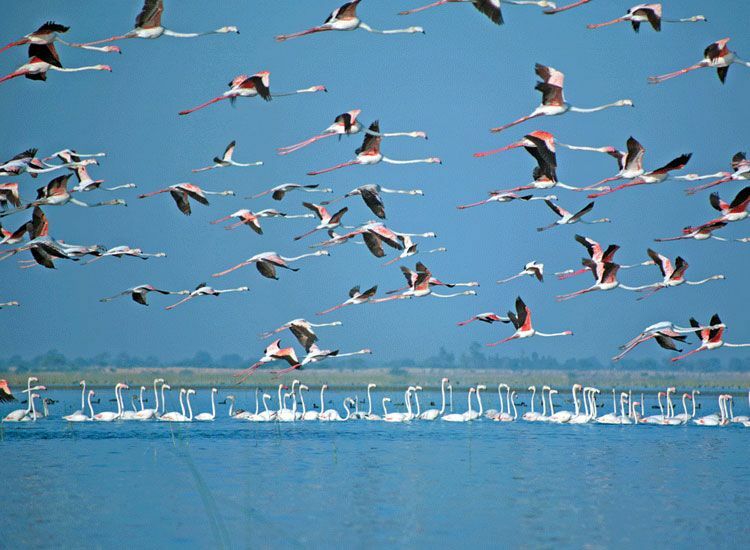 Stretching over an area of 120.82-sq-km, Nalsarovar is the largest wetland bird sanctuary in Gujarat. Travelers who come here are stunned by the rich number of avifaunal species that take shelter under the sanctuary. The lake, on the other hand, is present in the low-lying areas between East Saurashtra and Central Gujarat. It is also a representation of a sea link which existed in the yesteryears between Little Rann and the Gulf of Khambat. The number of avifaunal birds goes up to 200 here, out of which most of them are migratory birds who come from far ends like Siberia. 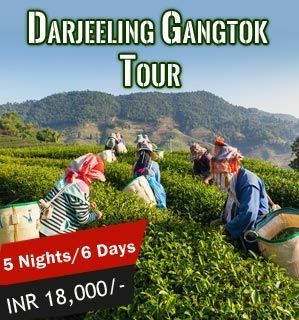 Join the other travelers in the morning and evening time and get a mindblowing view of the sanctuary donned by the birds. Saputara is a treasure of its own cuddled on the Maharashtra-Gujarat border in the district of Dang. 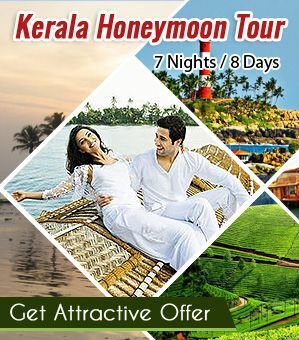 It is a hill station which is blessed with a cheerful climate which makes a tour of its waterfalls, gardens, and mountains a wonderful experience. As per many legends, it is believed that Lord Rama of the Hindu epic Ramayana spent 11 years in the verdant forest of Saputara. Travelers who come to Saputara don’t forget to seek blessings from the idol of serpent placed on the banks of Sarpaganga River. Sunset Point, Step Garden, Echo Point, Valley View Point, Vansda National Park, and Pandava Caves are some of the major attractions of Saputara. Etched to the banks of the River Shetrunji are the sacred hills of Shatrunjaya, one of the top tourist places in Gujarat. The hills are considered a popular pilgrimage site with over 900 Jain temples carved out of marble. Shatrunjaya sits close to the city of Palitana in Bhavnagar district and the site is considered pious by the Svetambara Jains. It is said that the hills were hallowed when the first Tirthankara of Jainism, Rishabha preached in the temple atop the hill. Furthermore, Shatrunjaya is believed to be sanctified by 23 of 24 Jain Tirthankaras. The abode of Rishabhanatha is the most revered out of all and is reached by climbing 3500 steps. Your vacation in Gujarat is not complete without a visit to Aina Mahal, an 18th-century palace in Bhuj. This tourist attraction is one of the astounding marvels of Bhuj carved out of the finest marble walls, glass and bronze lace. Aina Mahal was built in 1761 by Rao Lakhpatji. Also known as ‘Hall of Mirrors’, the palace shares the northeast corner of the Hamirsar Lake and is at walkable distance from Bhuj. 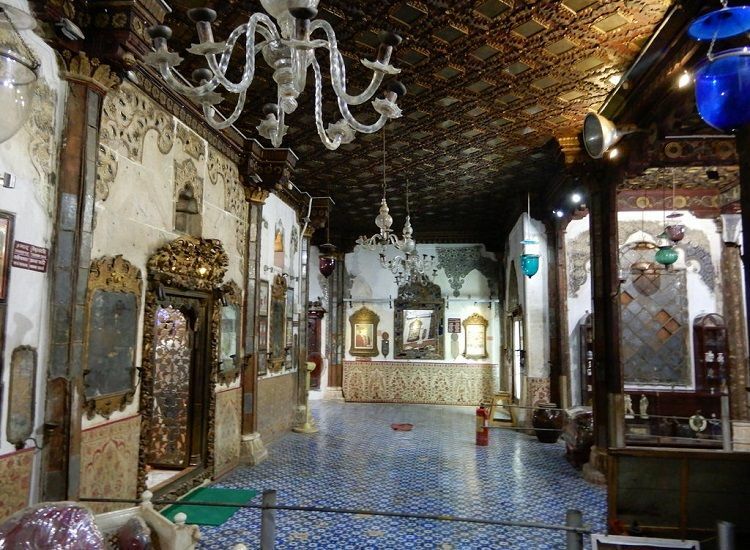 Due to the 2001 earthquake, Aina Mahal was brought down to shackles and now stands in ruins. Thanks to the restoration process, a part of the palace now houses a museum which has bedrooms, music room, paintings, palanquins and more. 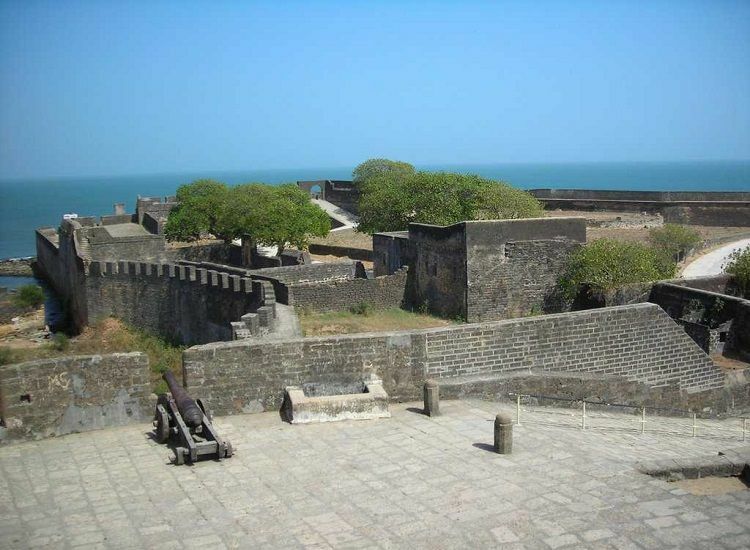 There is no better way to steer back to the time Portuguese ruled than visiting the Diu Fort in Gujarat. 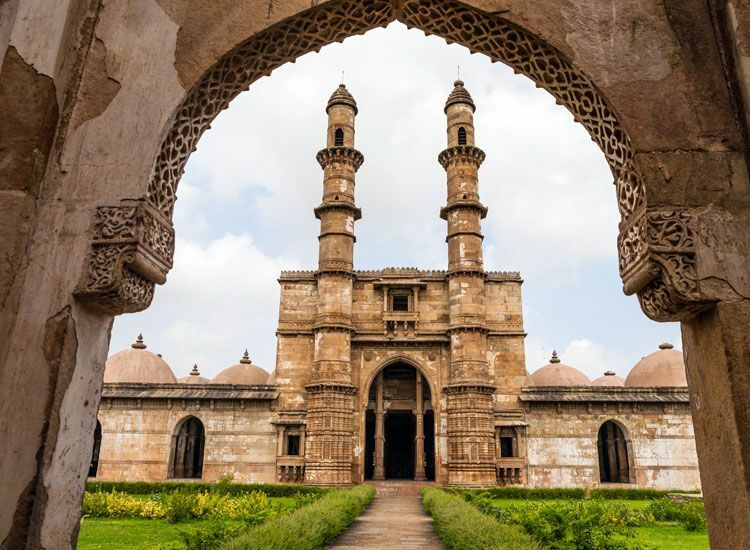 Situated on the west coast of India, this tourist spot in Gujarat was built during the colonial rule of Portuguese with sandstone and lime mortar. Diu Fort dates back to 1535 and was strengthened till 1546. You will actually love the architecture and the view of the surrounding peaceful region. Moreover, the fort shares its land with three churches namely the St. Paul’s Church, the Church of St. Francis of Assisi and the St. Thomas Church. Along with that, there are stone/wooden havelis and bungalows within the fort. 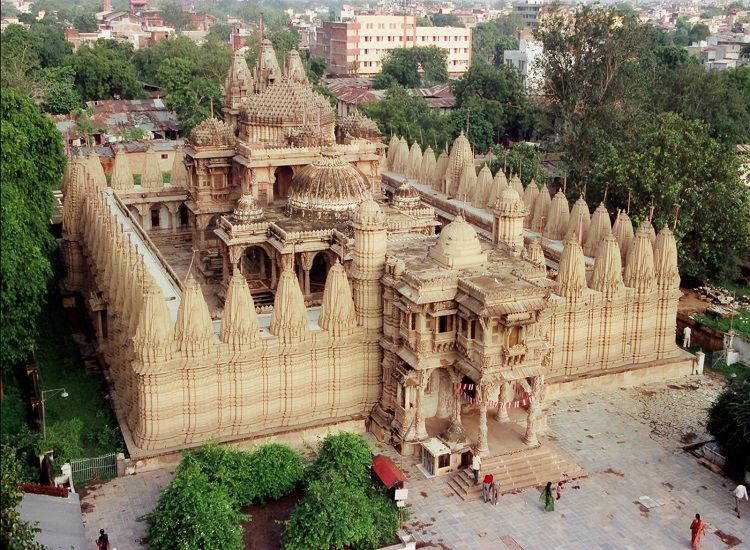 Hutheesing Temple is another pride symbol of Ahmedabad and is indeed one of the best known Jain Temples in India. The double storied temple was constructed in 1848 and houses the main deity is the 15th Tirthankara, Lord Dharamnath carved out of marble. There are 11 deities in the main temple. Looking for a place to spend the evening trying drool-worthy food? Head straight to Bhatiyar Gali. As you enter the narrow alley, all you will be surrounded by is the aroma of Mughlai dishes prepared at the stalls. The place is famous for its 600 years old tradition of making non-vegetarian dishes and delighting visitors. 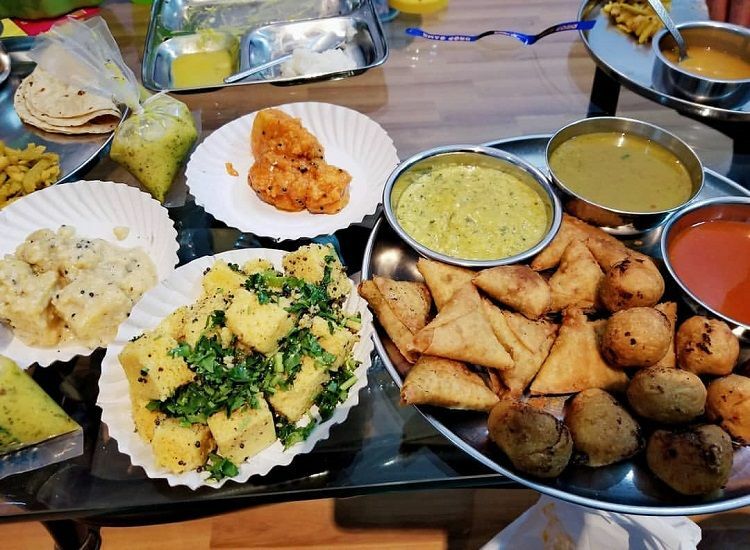 Tava-Biryani, Bera Samosa, Chicken Angaar, Bheja Masala, Keema Samosas, Bhuna Gosht, spicy Skewers charcoal-grilled and Chaap Fry are some of the must-try dishes Read More…..
Tanisha Sharma is that odd head in the crowd of travel writers who calls architecture to be her muse. When not traveling, she could be found daydreaming about all the architecture or food in the world. It won’t be wrong to say that writing, music, novels and dogs have taken over and become an essential part of her life. It’s great that you liked the blog! Keep following for more such interesting topics and information.